Winners train – losers complain, and RDX boxing sticks are exactly what you need to improve pinpoint precision and accuracy with all the hits and blends for each skill set. The precision training sticks enhance quickness, accuracy, speed and footwork. The trainer may tap and lightly hit you to work on your offenses and defenses. 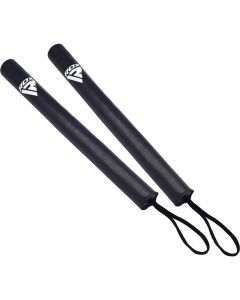 Punch boxing sticks are made for absorbing punches, elbows & blows.